My personal experience with PASS events is somewhat modest. I've attended the PASS Summit conference twice, I've only been to one SQL Saturday, and attendance at my local PASS chapter spans less than two years. In spite of my limited experience, I've come to this conclusion: code samples and/or live demos are better than PowerPoint slides. Now, this may be a contentious topic. I want to stress that this is my personal opinion. You may decide I'm dead wrong. So keep that in mind and please continue reading. 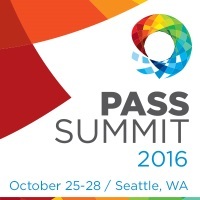 PASS Summit 2016 is coming very soon. If 2016 is going to be your first time at the conference, you may be looking for (or have already received) some advice. I've been seeing quite a bit of advice myself, much of it quite good. I do suspect that most of the advisers are seasoned veterans with many years of conference experience under their belts. I'd like to offer a different perspective. 2015 was my first PASS Summit, so as a sophomore, my point of view might be a little different. Hopefully, it will be relatable to you, the first-timer. 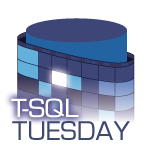 For T-SQL Tuesday #83, Andy Mallon (b|t) asks "What's a problem you've been dealing with throughout your IT career?". That's a great question! To answer it, I'll pose a few questions of my own.